Everyone likes candies, don't we? Now here is Candy Rain 2, that is all sweets but no calories! 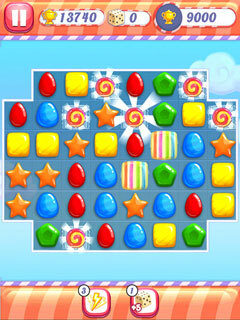 In this beautiful and challenging match-three video game it is your task to combine at least three of the delicious sweets to make them disappear. 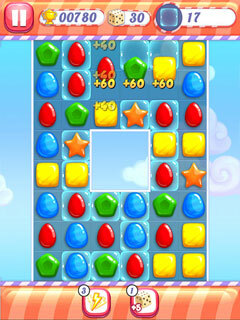 If you play smart and manage to make more candy vanish with one move or even trigger combos that make different sorts of candy vanish, you can get tons of extra points and useful boosters, that make it much easier to achieve the levels goals. 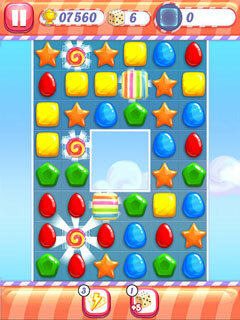 Always have an eye on the scores though, as you only have a limited amount of moves to reach win the level.Play the wonderful Candy Rain 2 now online and for free!